Jerri is an experienced real estate attorney with more than 15 years of experience in all aspects of commercial real estate, including, acquisition and disposition of real estate, leasing, and real estate financing. Jerri is also experienced in land use and development, including annexation, subdivision and entitlement work. Jerri has worked with a variety of real estate clients and has worked on large, master planned and mixed-use development projects. 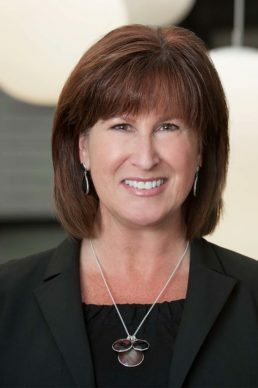 Prior to joining the firm, Jerri was Vice President and General Counsel of Forest City Stapleton, Inc., the master developer that is redeveloping the former Stapleton International Airport into a community that is anticipated to have 12,000 homes, 35,000 jobs and more than 1,100 acres of parks and open space. As General Counsel of Forest City Stapleton, Inc., she managed all legal matters related to the Stapleton redevelopment. Jerri also managed legal issues related to Forest City’s redevelopment of approximately 140 acres at the former Fitzsimons Army Base in Aurora, Colorado. Prior to joining Forest City, Jerri served as the Corporate Counsel for ProLogis Trust, an international real estate investment trust. Before that, Jerri was in private practice in Denver.